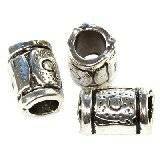 Metal beads give many possibilities for the preparation of extraordinary jewelry. Beads in many designs. They will work great as an element of ethnic jewelry, but not only. 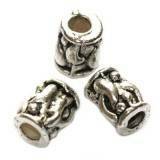 Metal beads perfectly develop creativity. They look good when combined with other elements, such as glass beads, because they break them perfectly. Metal beads available in our store are durable, resistant to deformation, and at the same time really easy to use, even for a beginner. An additional advantage is certainly the stylistic diversity of the offered beads. They can be in a retro style, as well as completely modern - to find your vision of your own jewelry. They combine very well with Miyuki beads, Czech beads and semi-precious stones. 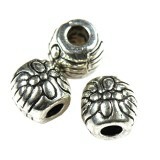 Metal beads is one of the basic products for making jewelry. 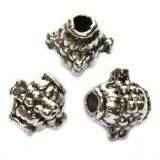 We use them together with glass beads or semi-finished products for jewelry. 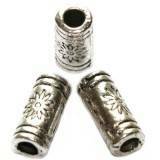 Among them are popular tips, metal pendants, charm, spacers, aluminum beads. 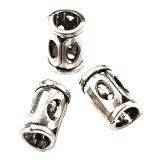 Metal beads are high quality and they are very easy to use to create bracelets, necklaces or earrings.